Finest, heat-resistant Borosilicat-Glass. 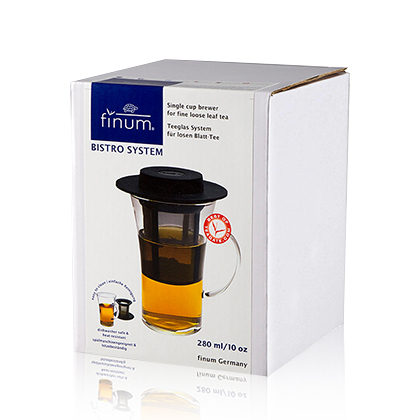 The filter provides enough room for tea leaves to expand and develop their body. 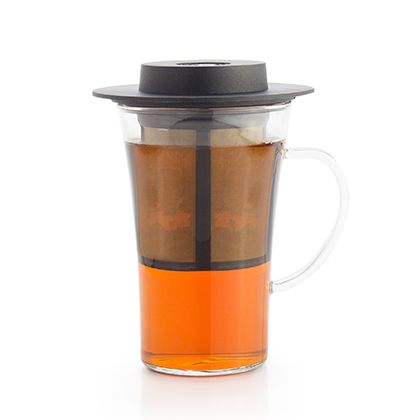 While gently steeping your tea, the hat prevents heat-loss and retains the aroma. 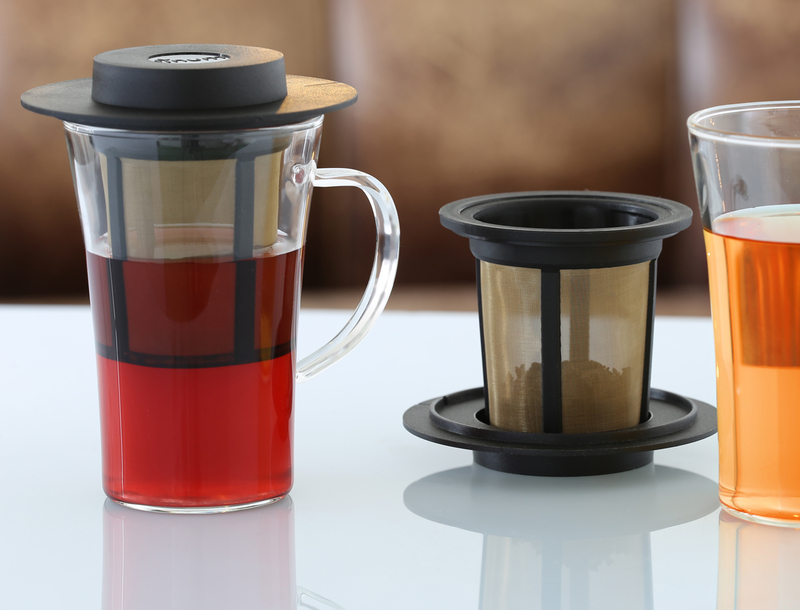 When the brewing has finished the hat serves as a practical drip-off tray for the brewing basket.